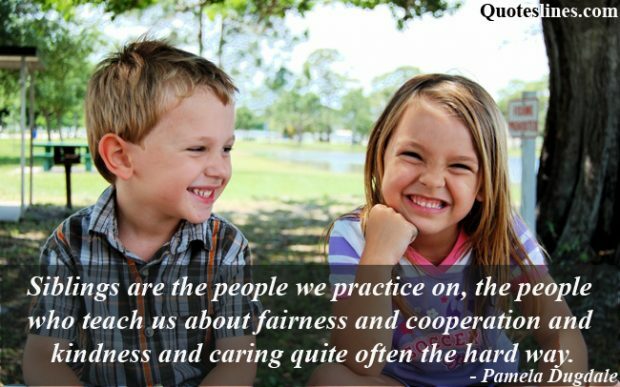 Brother and sister’s relationship is one of the lovely and best relationship among the family. The relations are too strong and much valuable. 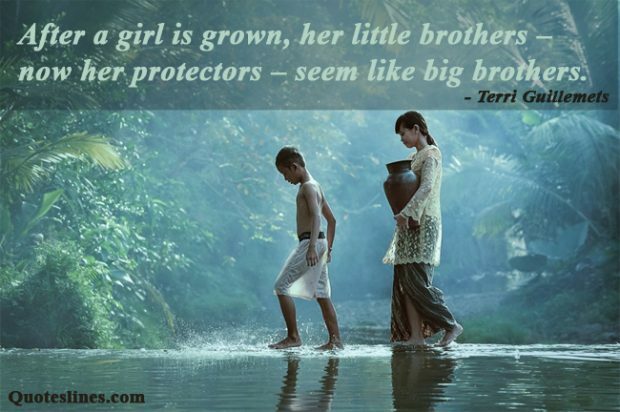 Brother provide protection to his dear sister and sister take care for her brother from the center of heart. Really words fall short to describe the relationship between brother and sister. 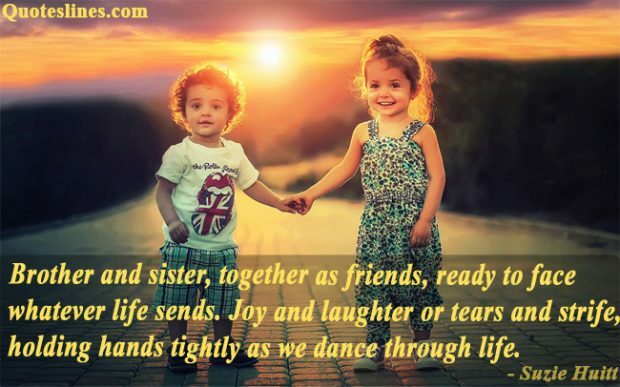 Although, there are lots of Brother and Sister Quotes, sayings about siblings, brother sister bonding, love, caring and many more which we compiled by the value of their importance. 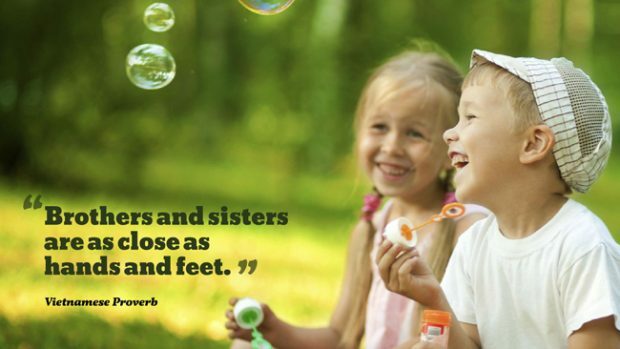 Take a look through our great compilation of brother and sister quotes with images and inspiring sayings about siblings which you may share with your brother or sister to inform him/her that how much you really care for them. 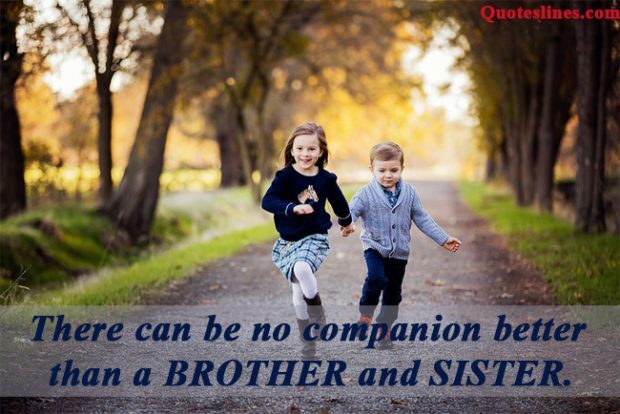 There can be no companion better than a brother and sister. Brothers are Superman, Spider-man and Batman of their sisters. 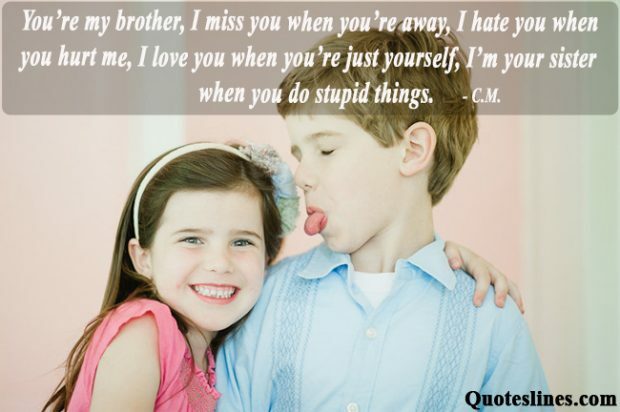 You’re my brother, I miss you when you’re away, I hate you when you hurt me, I love you when you’re just yourself, I’m your sister when you do stupid things… – C.M. 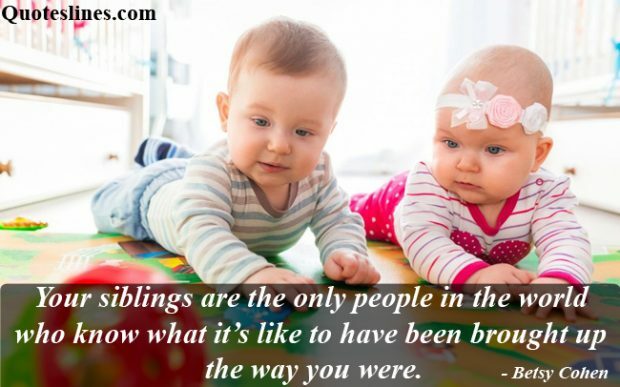 What makes a brother-sister relationship special is the way, each one remember the other when they are apart. They miss the talks, the laughs and the time they spent together. Life changes, memories don’t. I miss you bro. Siblings makes best of friends. You don’t need a therapist, when you have a lovely sibling. Sibling don’t hit each other, they just high-five on face. A sibling is your only enemy you can’t live without. I may fight with my siblings. But, once you lay a finger on them, you’ll be facing me. Like branches on a tree we grow in different directions yet our roots remain as one. Some relationships are like Tom and Jerry. They tease each other, knock down each other, irritate each other, but can’t live without each other. 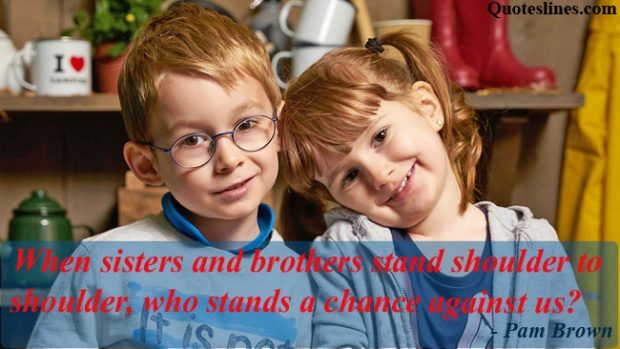 We hope that you have enjoyed and find some best brother and sister quotes to make surprise your brother or sister by sharing with them, either you may make a post on Facebook and mention them by tagging. Also you may share these any of your favorite social media or as private conversation.